What kind of tricks does anyone have for welding small items? By small I mean no room to put the ground clamp. For example, how would you weld two quarter sized steel washers together? Lay them on a conductive surface. Clamp to the surface. Choose a different method to join them, example brazing? Shape from one piece and drill two holes? Last edited by Dale M.; 02-03-2019, 08:28 PM. ground clamp to welding table. 1. Drill or use existing holes in welding table to use a drill- press hold-down jig or, a clamp made from a cheap pair of visegrip cones. 2. Construct a universal jig to attach to your table of the type used in welding schools to hold practice coupons.. 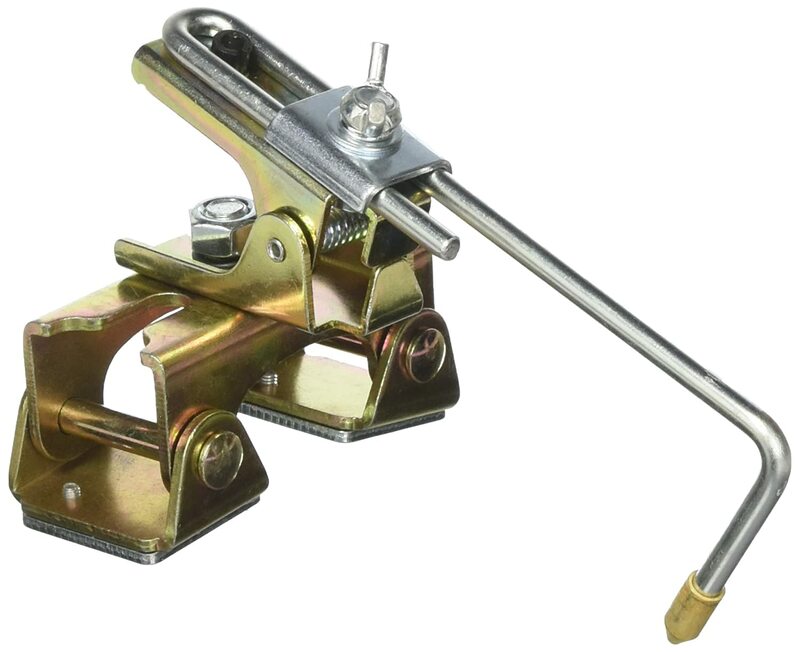 This can be used to hold any type of clamp or tool holding the the weld metal. with ground attached on jig. 3. Buy small cheap (expendable) C clamps. 4. Make a tiny grasshopper. 5. If all else fails, tack something to it and ground that, and repair the damage later. So you put the ground on the grasshopper? Do a search for 'welders third hand', that's what northwelder was referring to as grasshopper. It's got several names. Nothing elaborate needed. Make several. The issue is not holding the items as much as it is getting the ground clamp on and having room to weld. I don't have a metal table. I think what I want is a small ground clamp. How small do they make them? 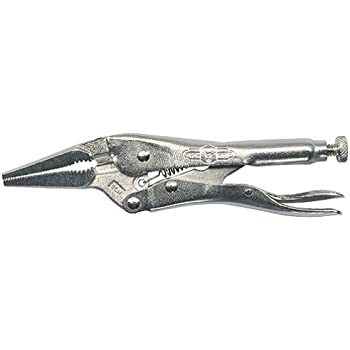 Take pair of small pointed vicegrips and weld "stud" on top side and connect ground cable to stud...You are welder /fabricator, adapt! That should do the trick!!!! Thanks Dale! I recently tacked two bushings together. Held them together in my 5 inch bench vice and put the clamp on the vice. I've got a vise that I acquired from someone that did this. You can feel every burn mark in the threads while you try to use the vise. So, if you use the vise, make sure your work lead is attached so the current isn't going through the threads of the vise, unless you consider it sacrificial. I consider it a vice to hurt a vise. Last edited by Northweldor; 01-07-2019, 07:58 PM.